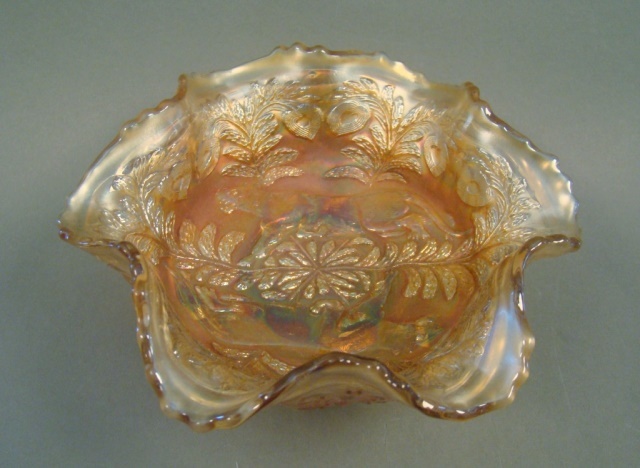 This pattern is named for its interior motif–the exterior is Butterfly and Berries. 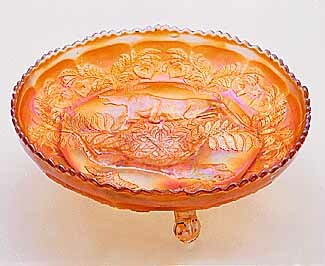 There are two cats that have come to be known as panthers–though they could be almost any large feline. 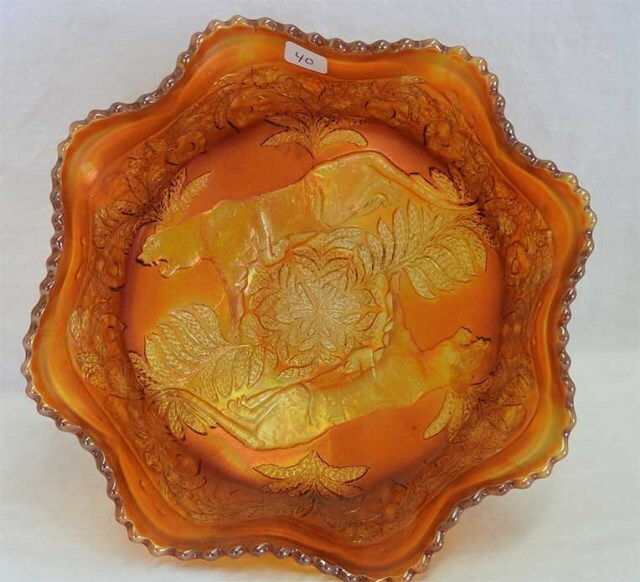 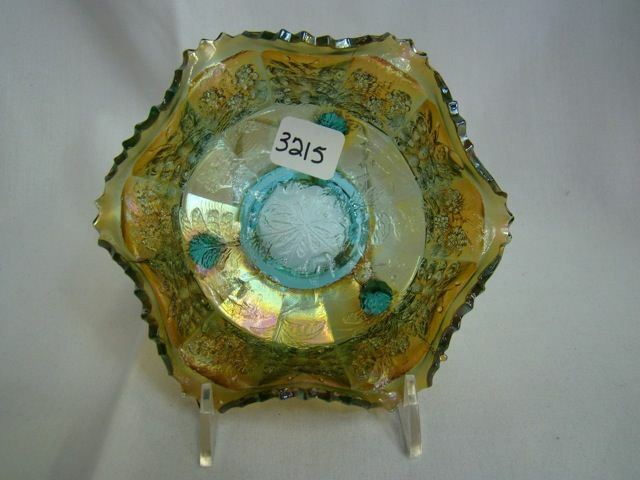 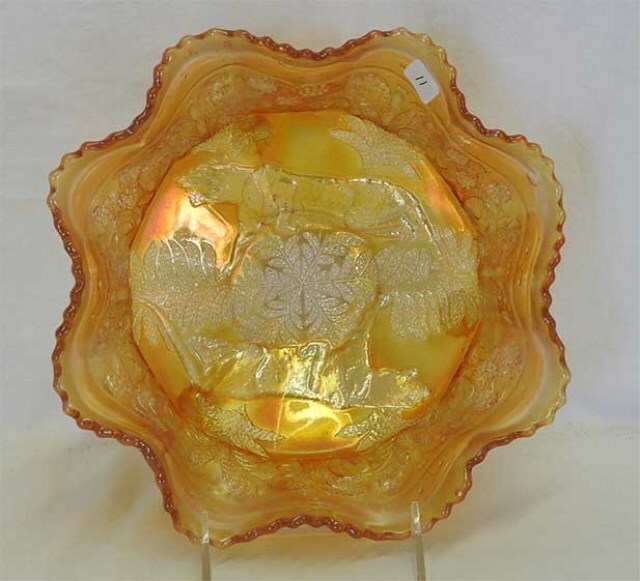 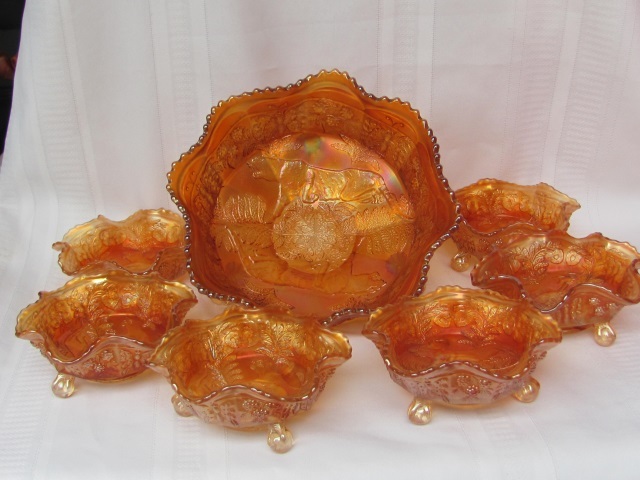 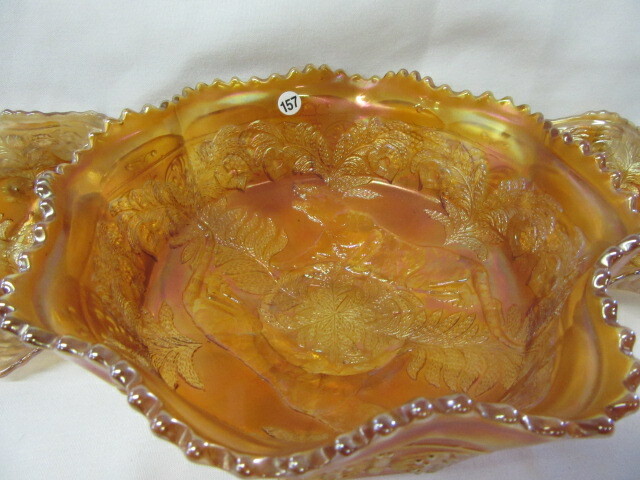 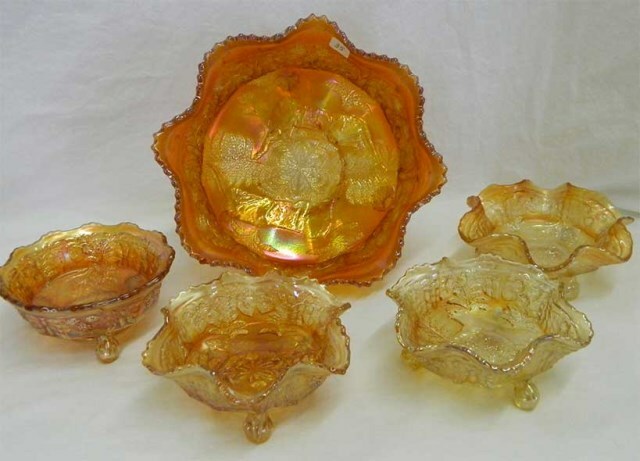 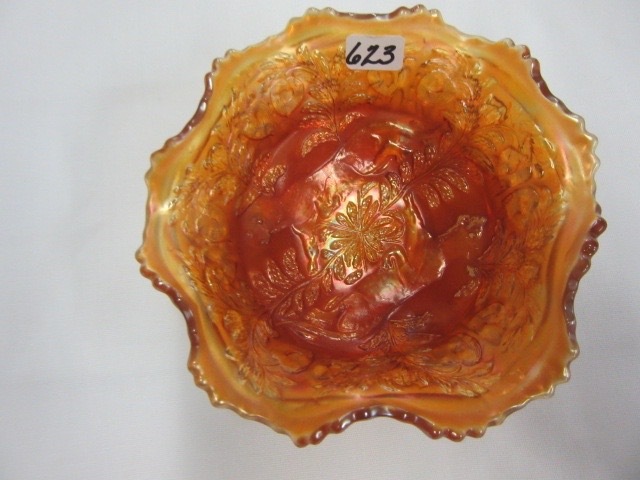 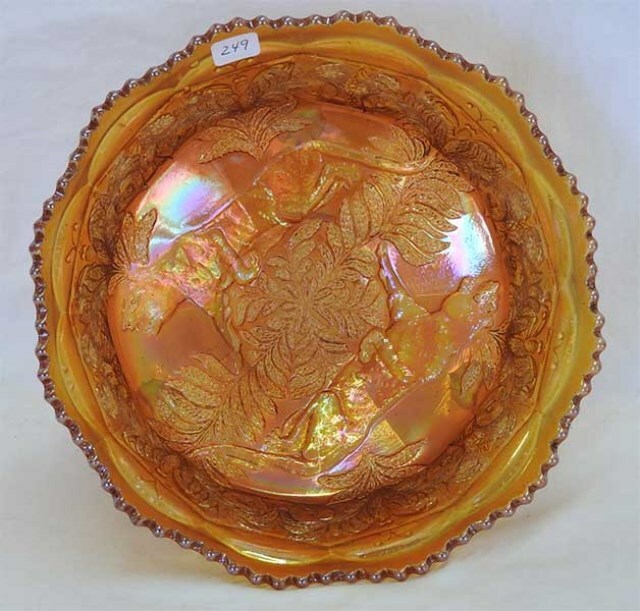 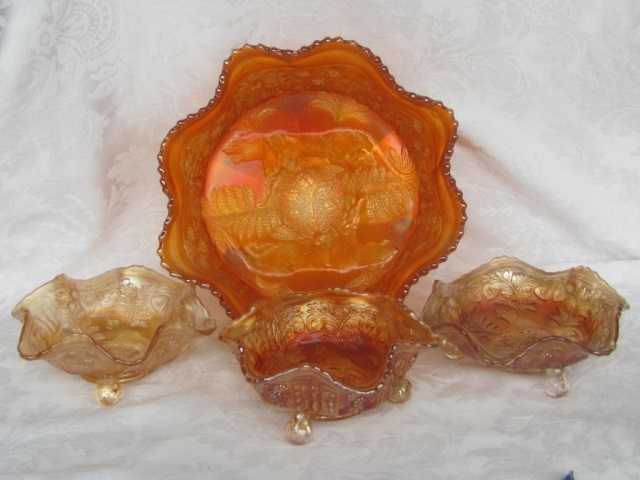 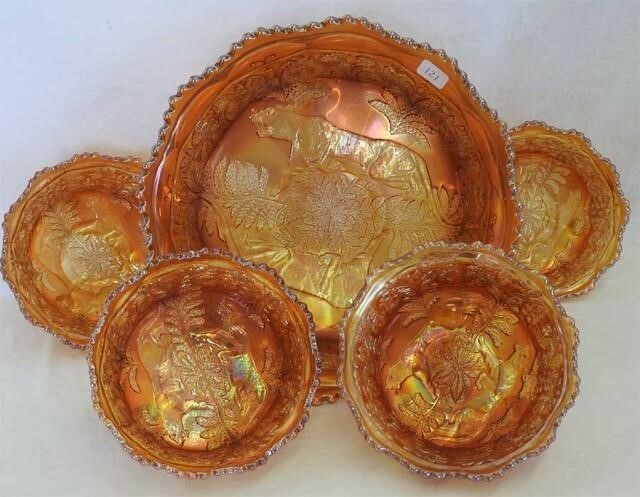 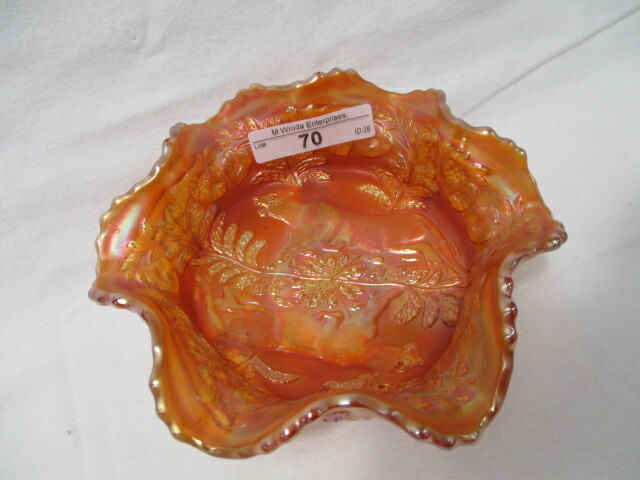 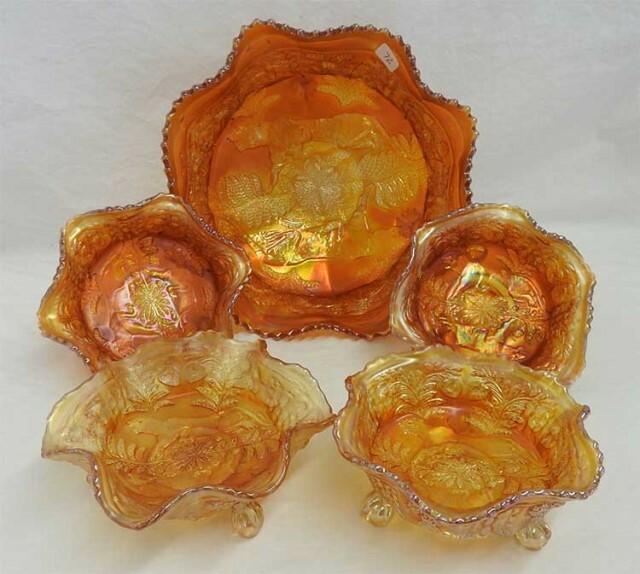 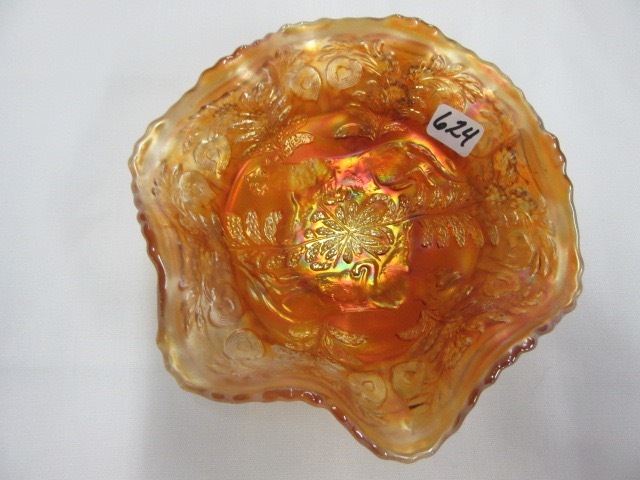 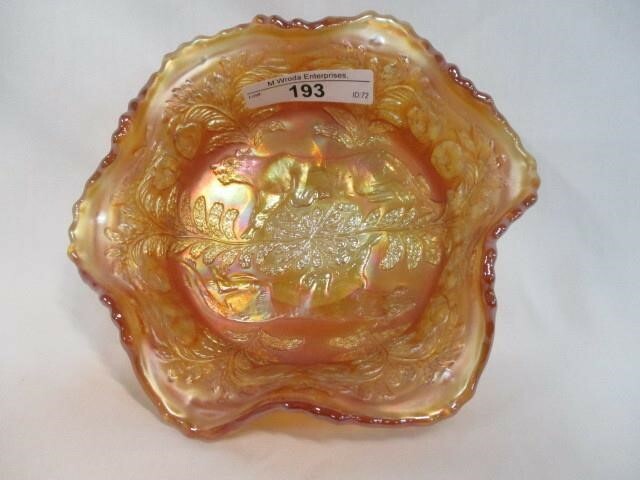 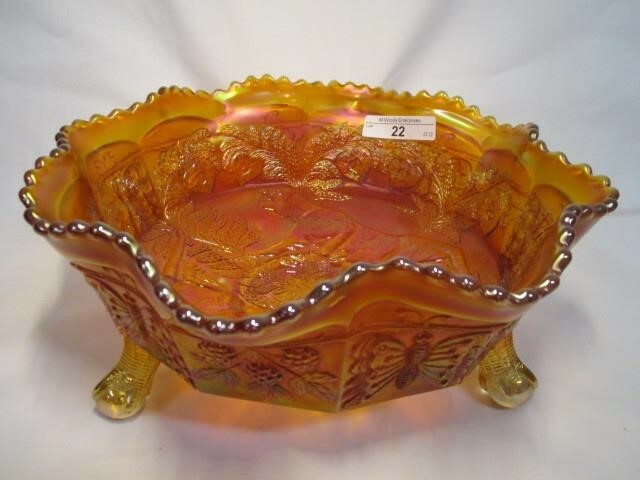 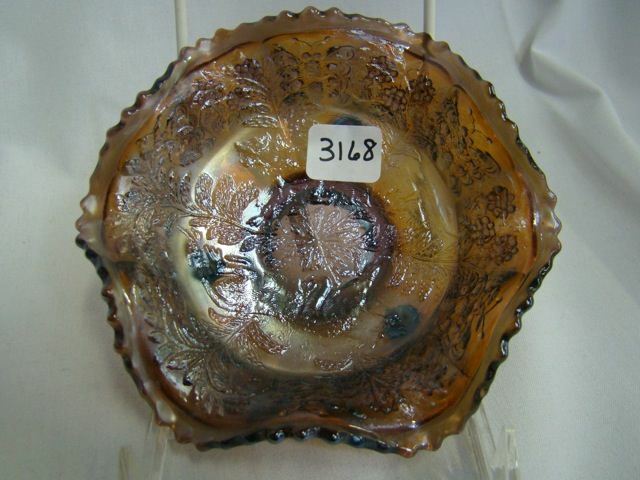 Shown above is a large ruffled berry bowl in green and a round, spread out bowl in marigold commonly referred to as a centerpiece bowl. 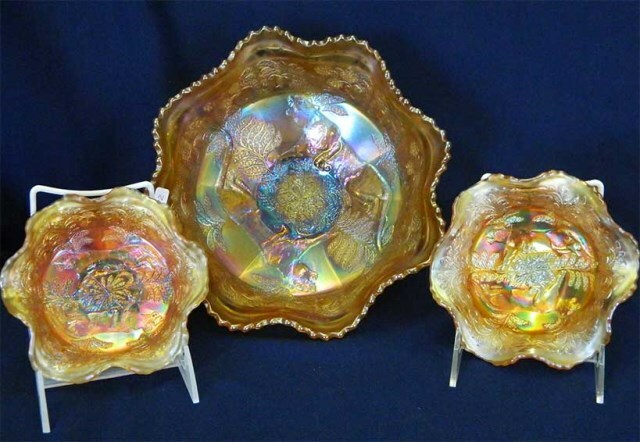 All pieces have ball feet. 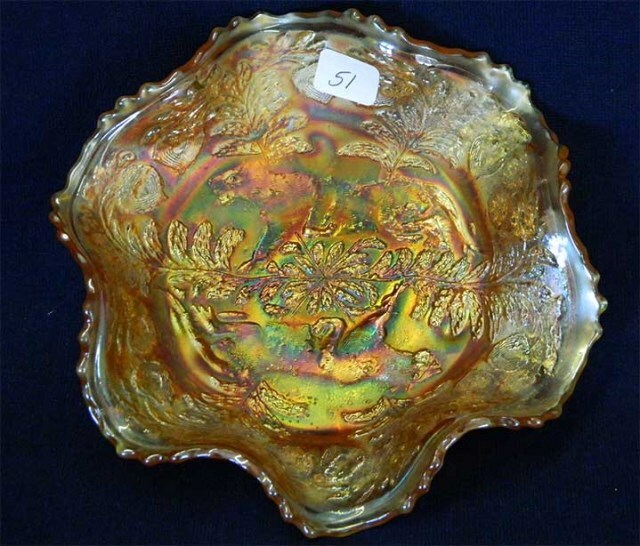 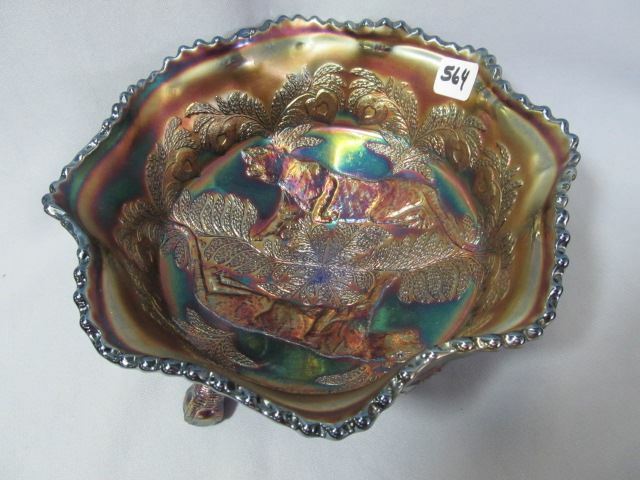 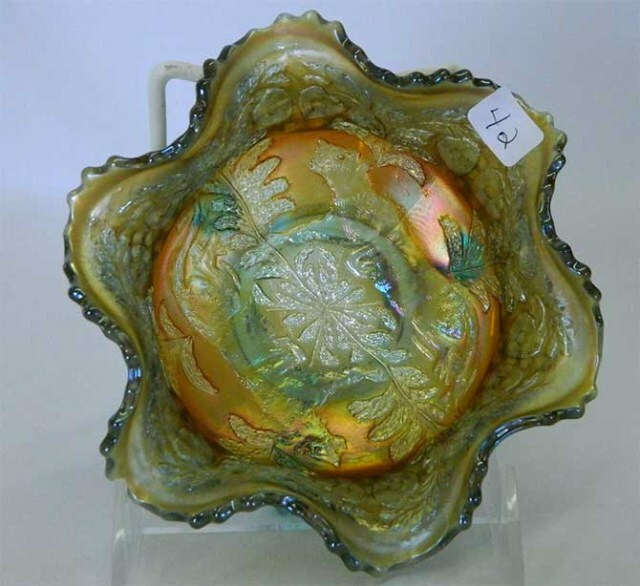 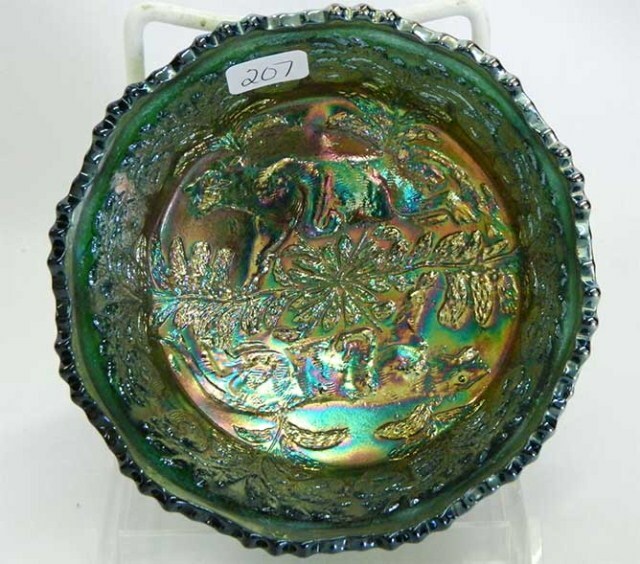 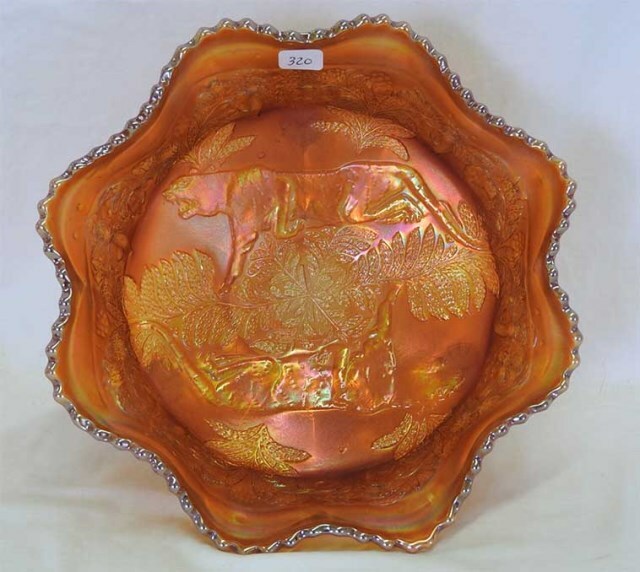 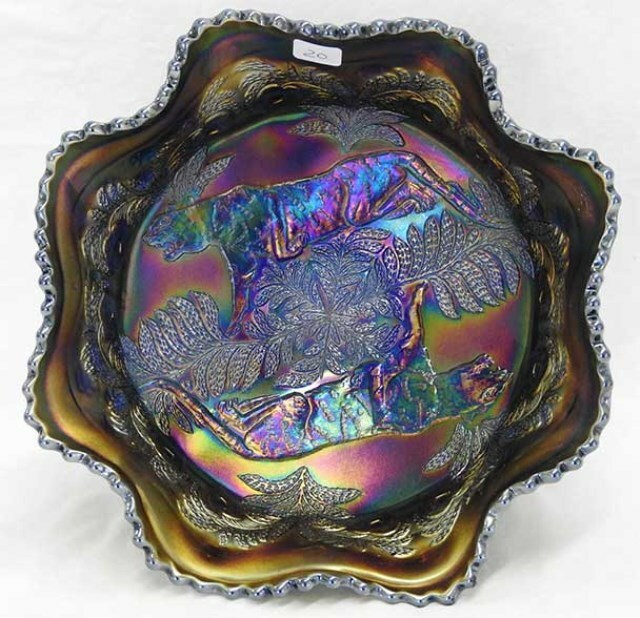 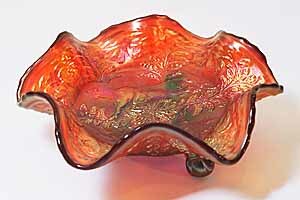 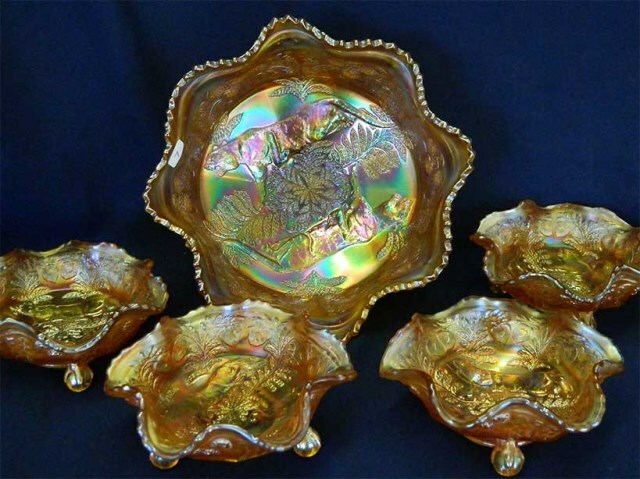 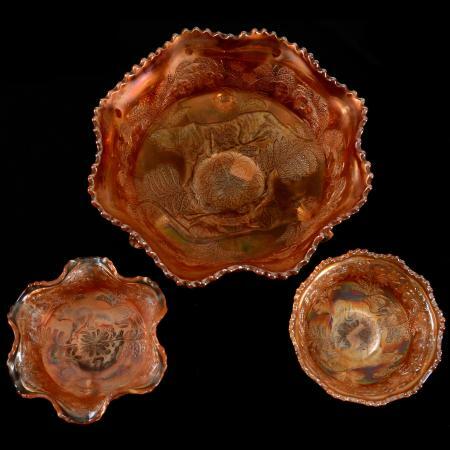 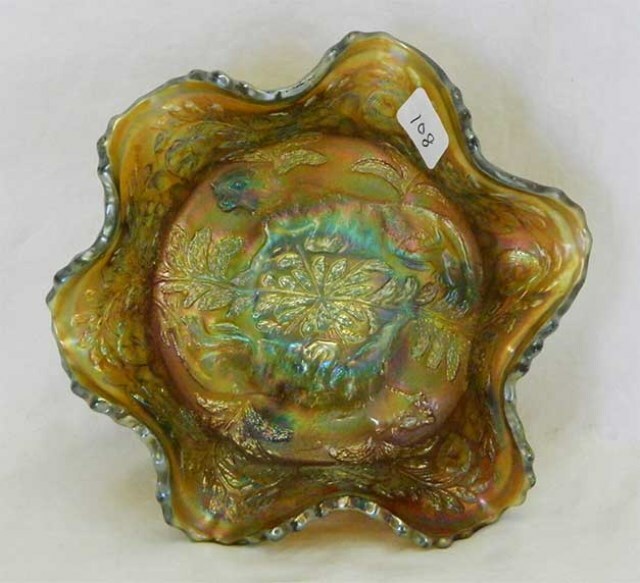 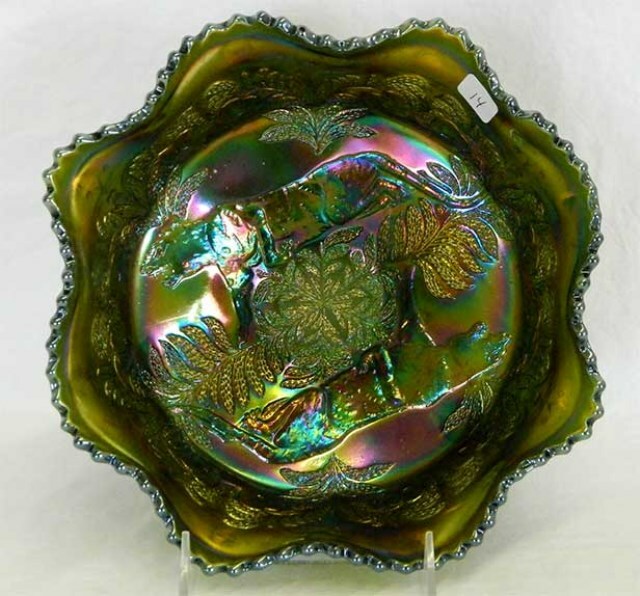 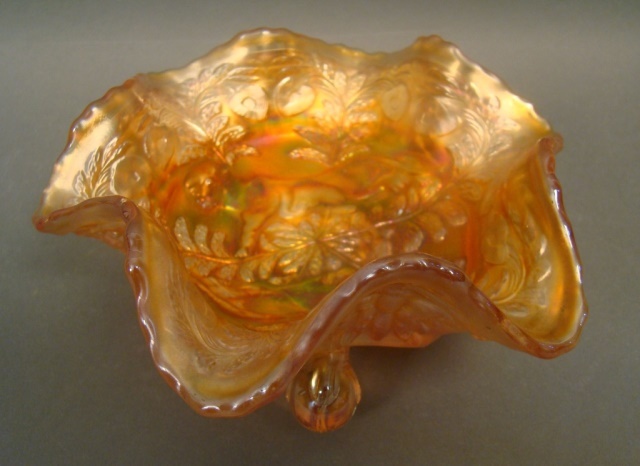 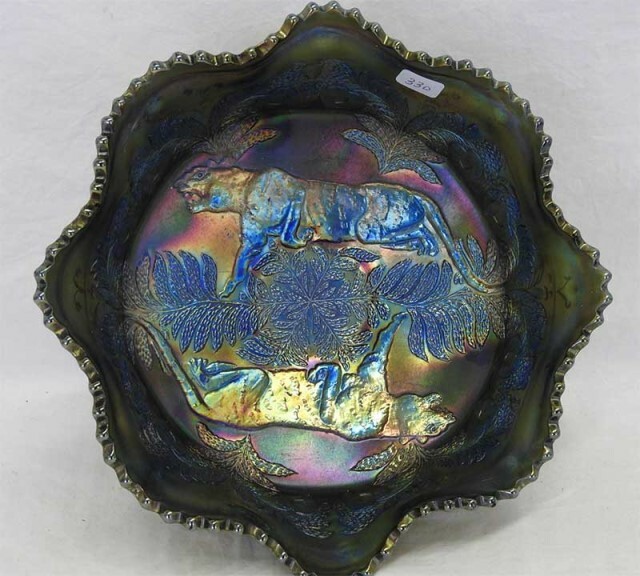 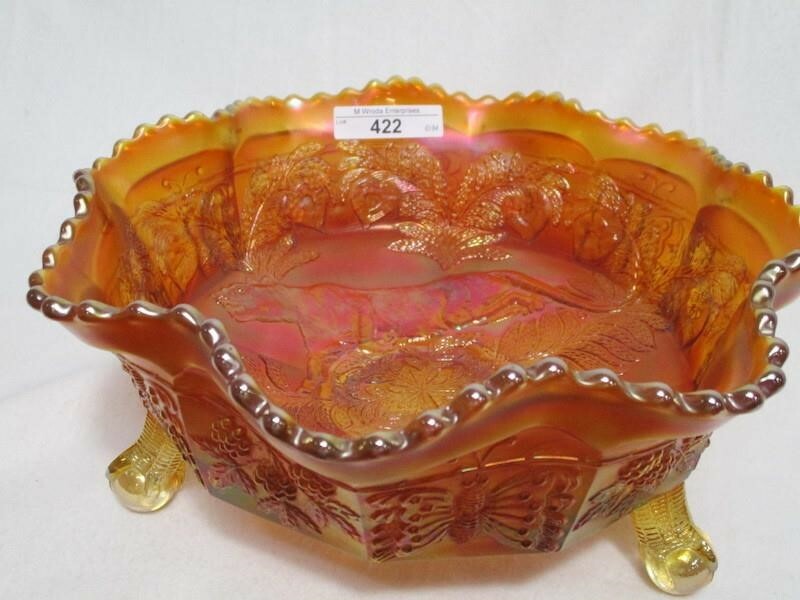 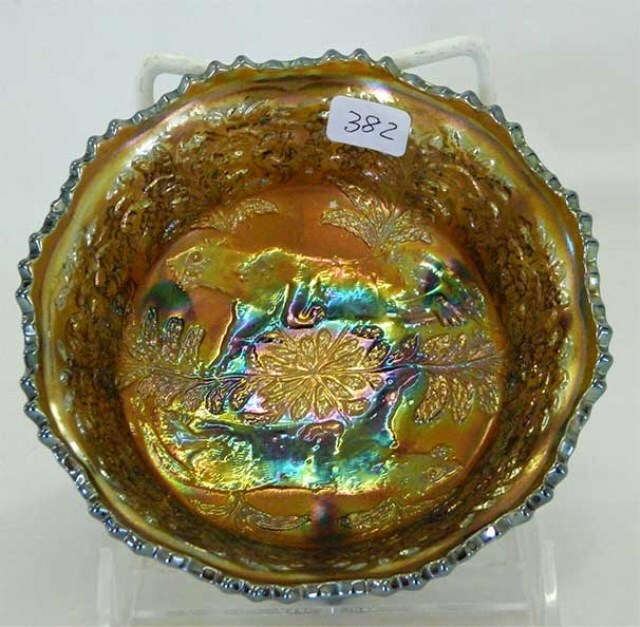 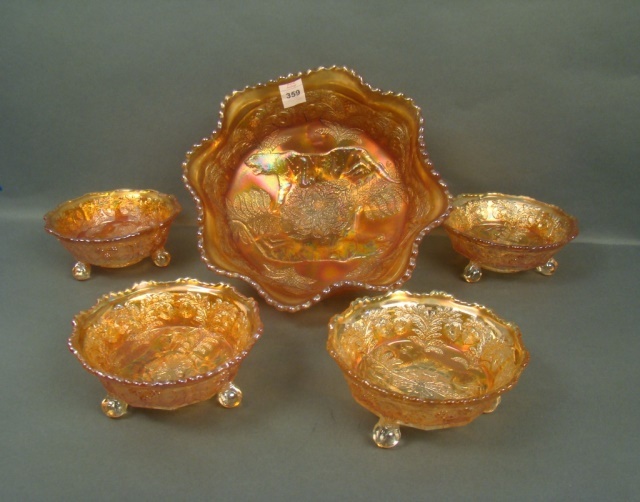 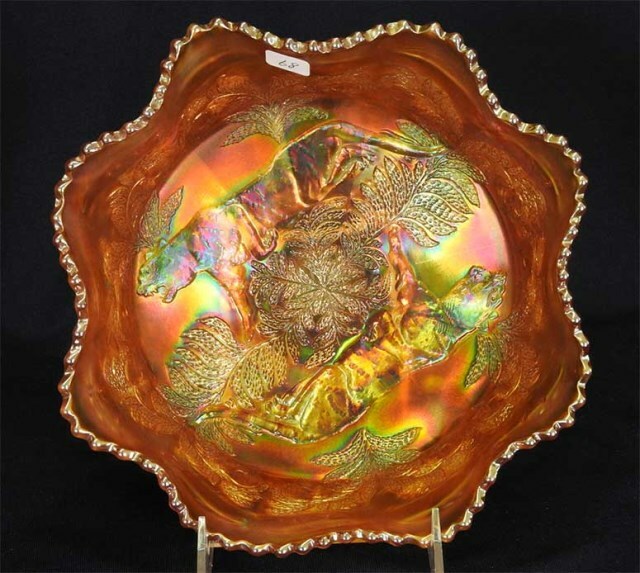 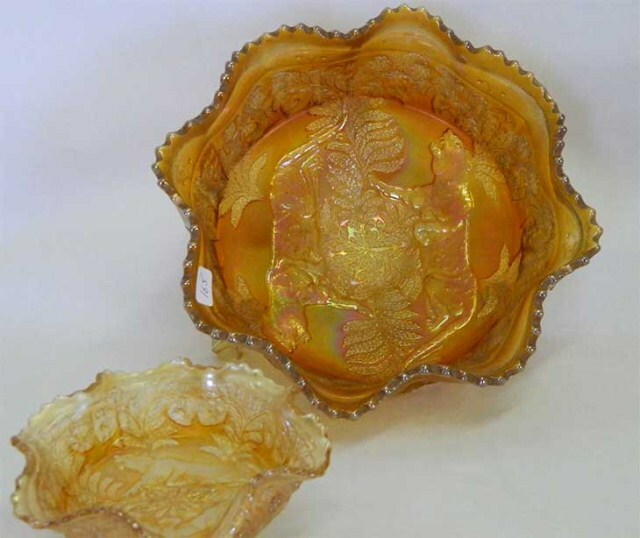 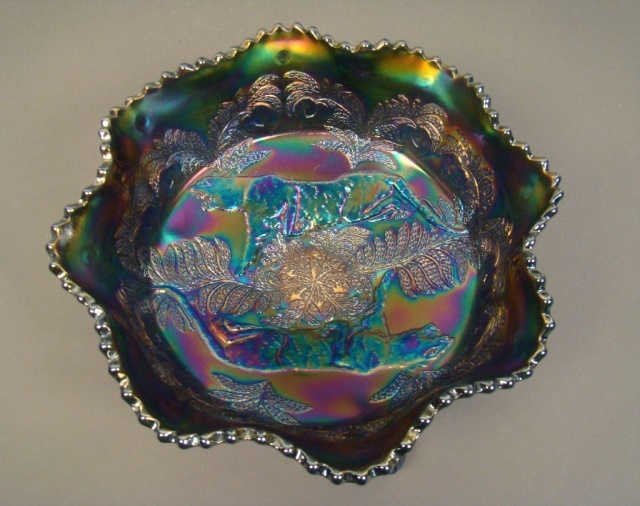 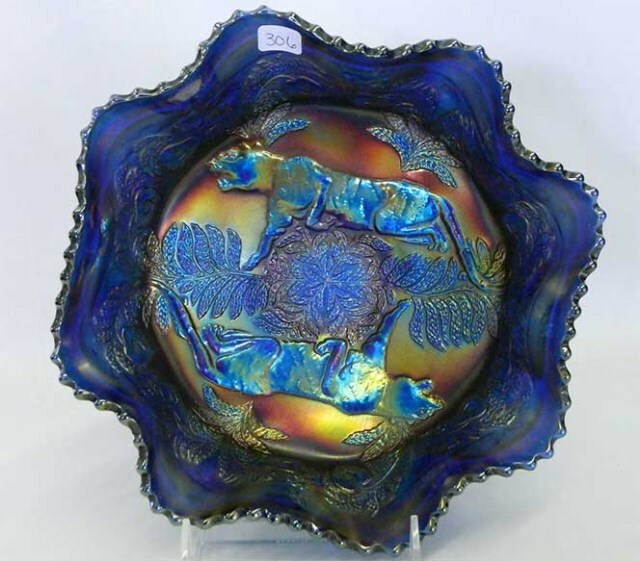 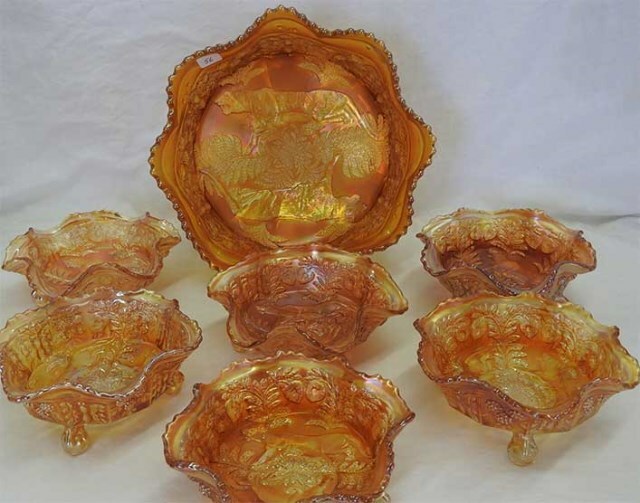 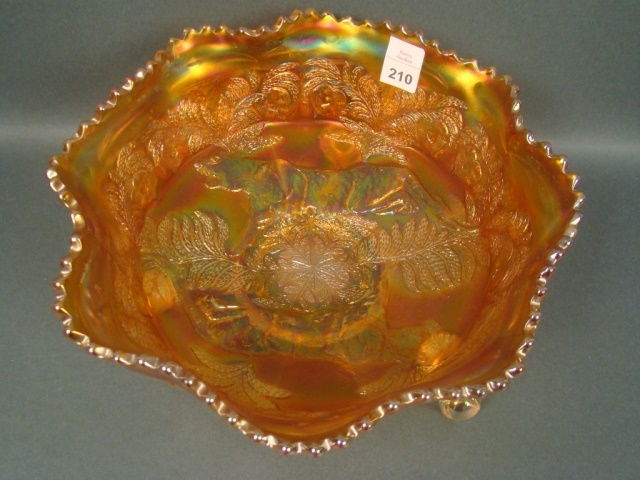 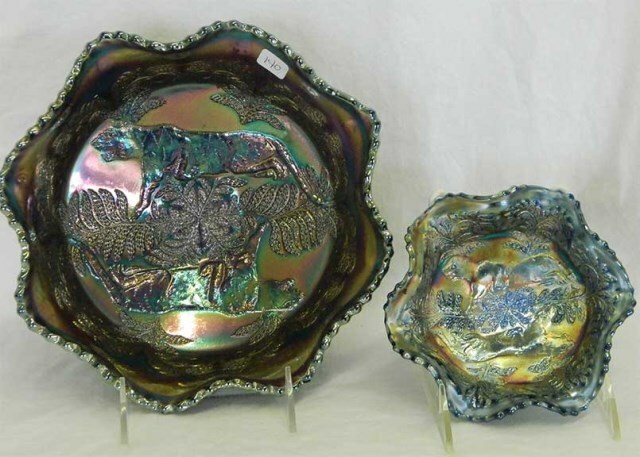 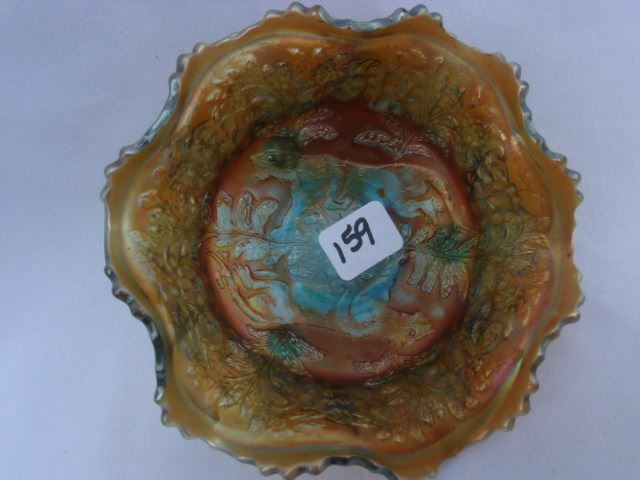 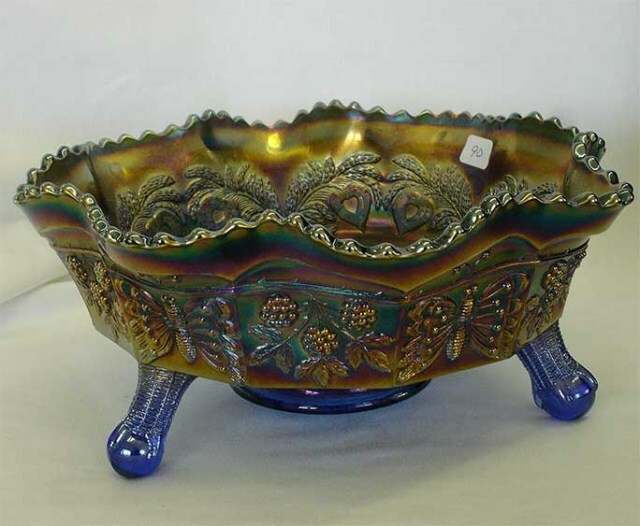 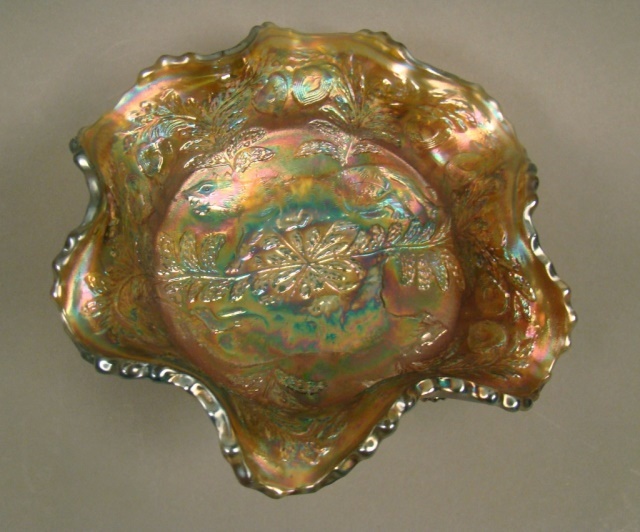 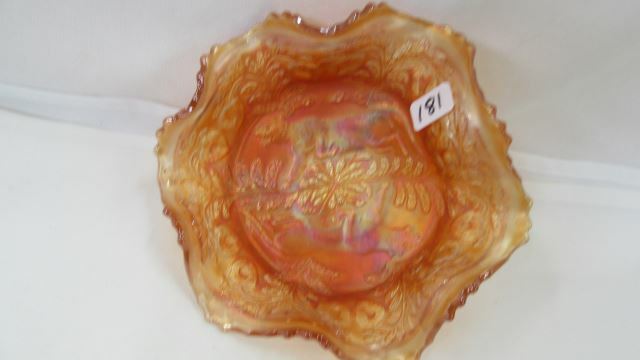 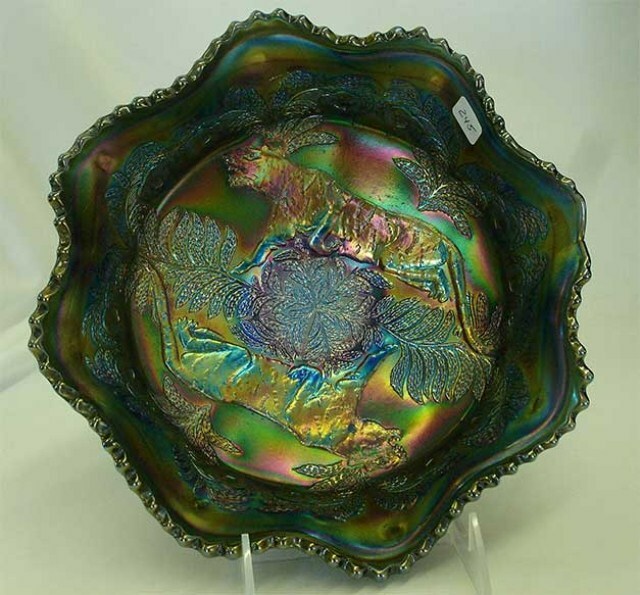 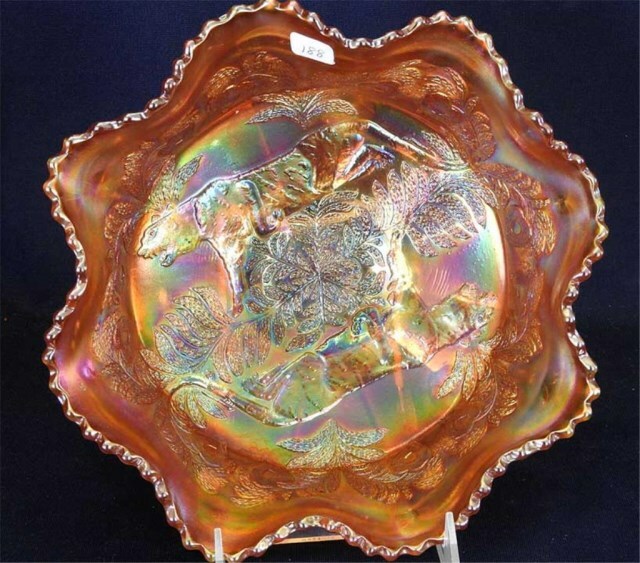 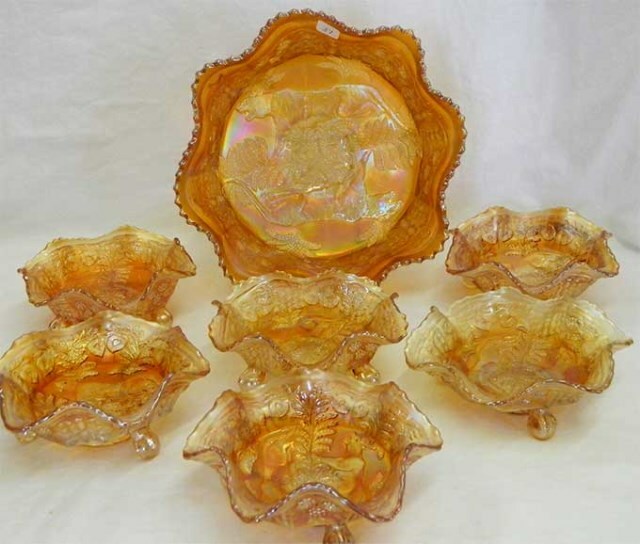 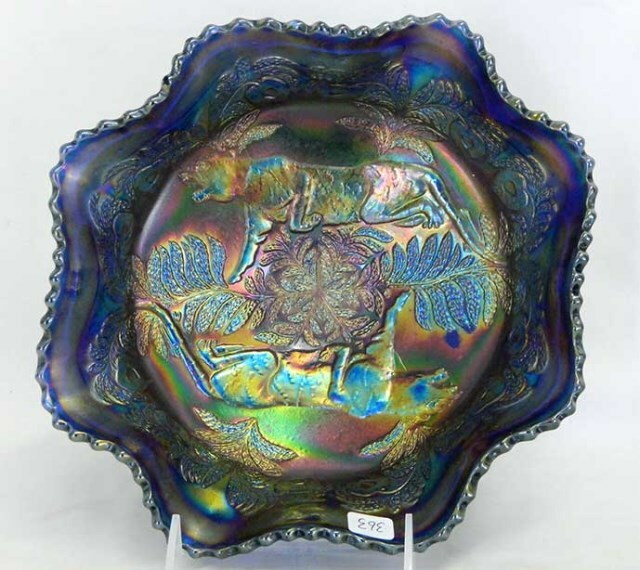 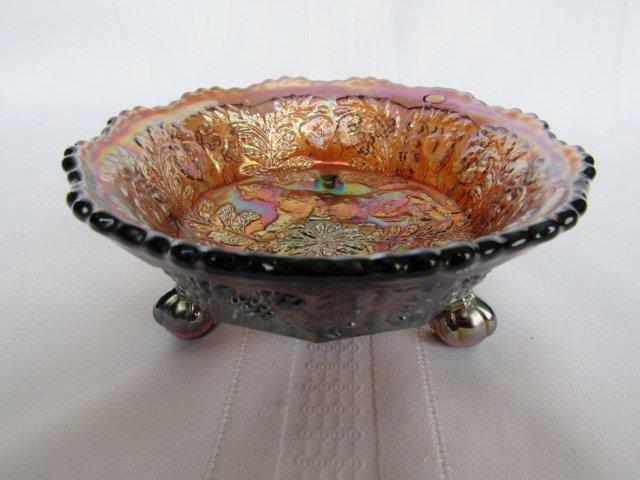 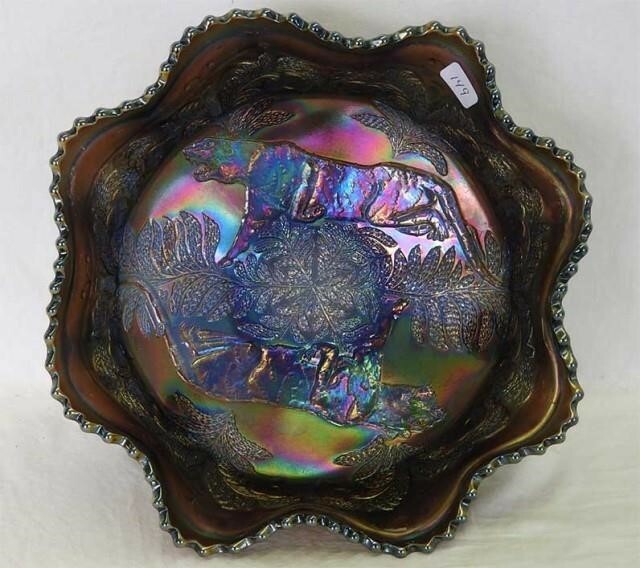 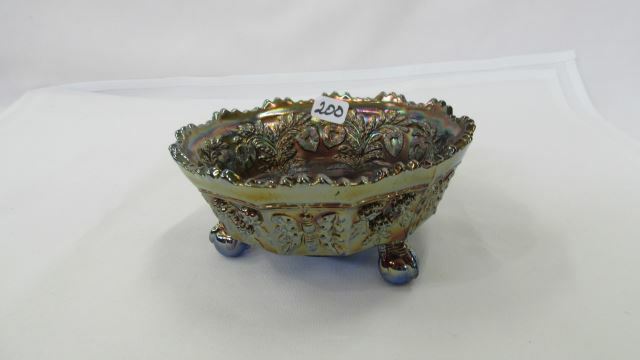 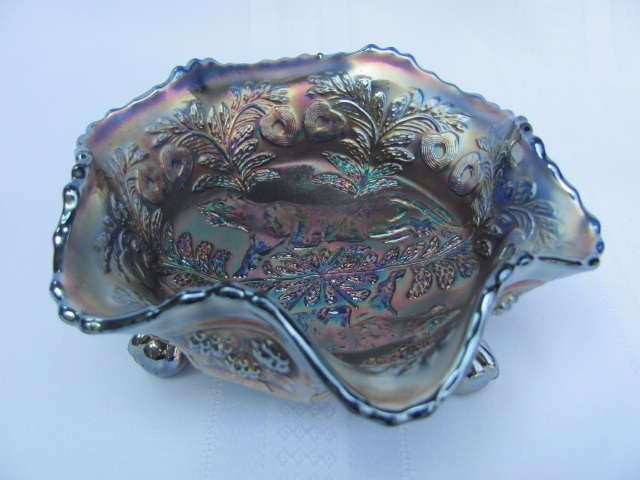 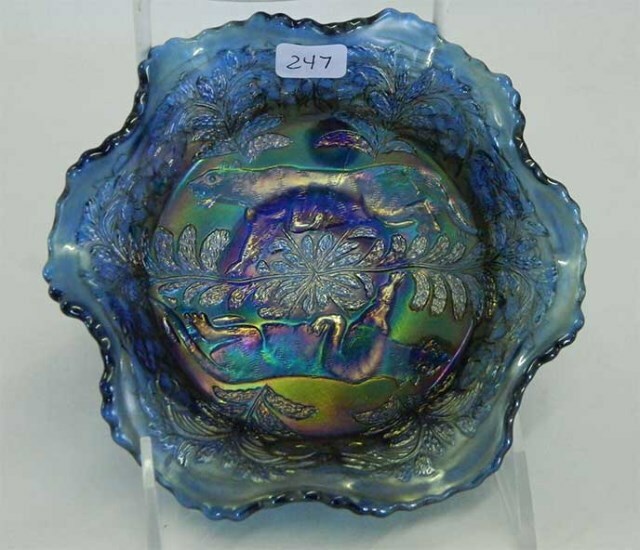 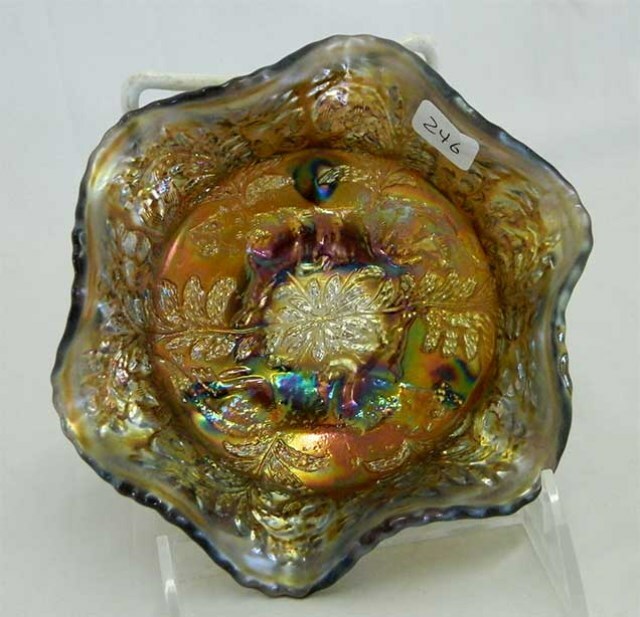 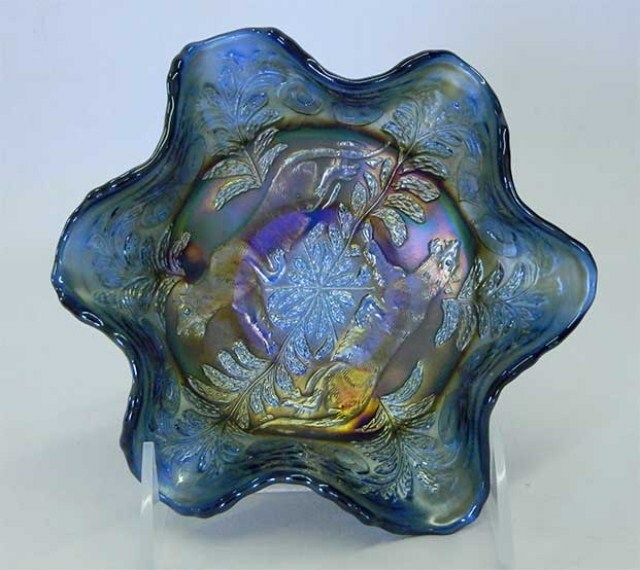 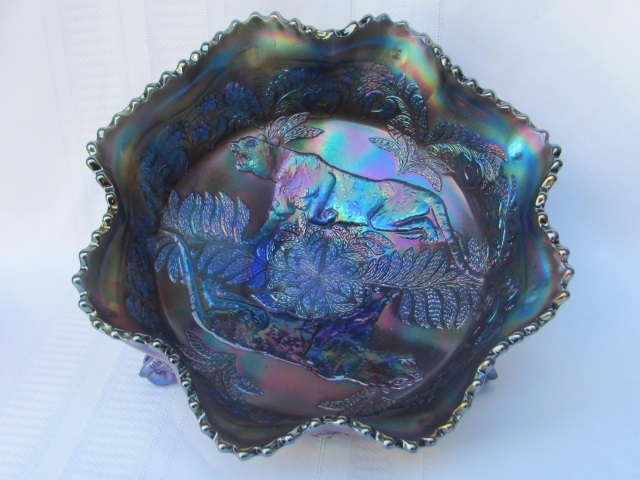 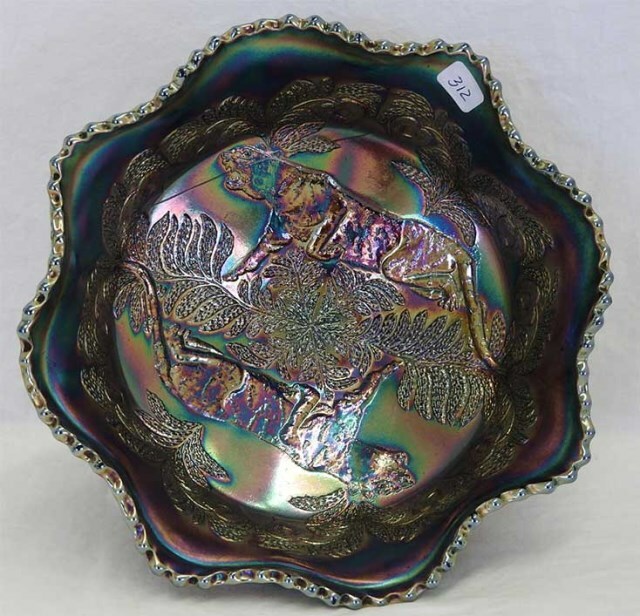 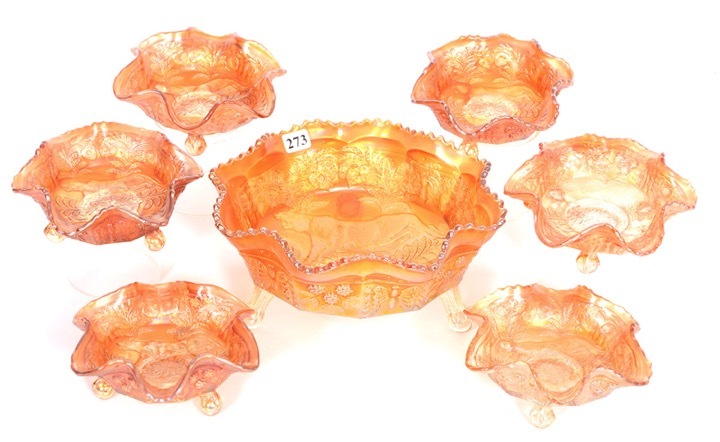 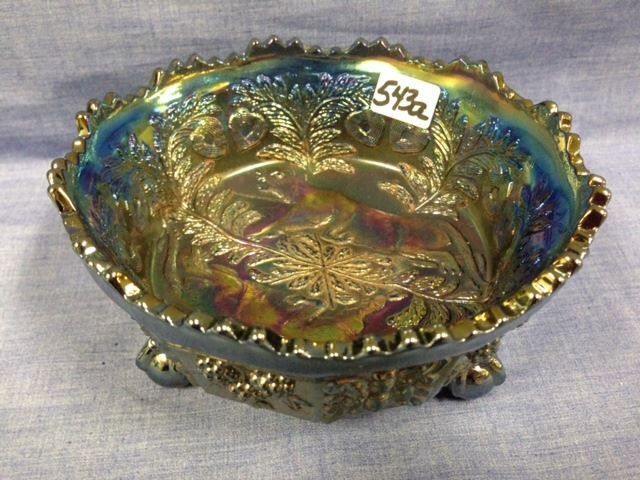 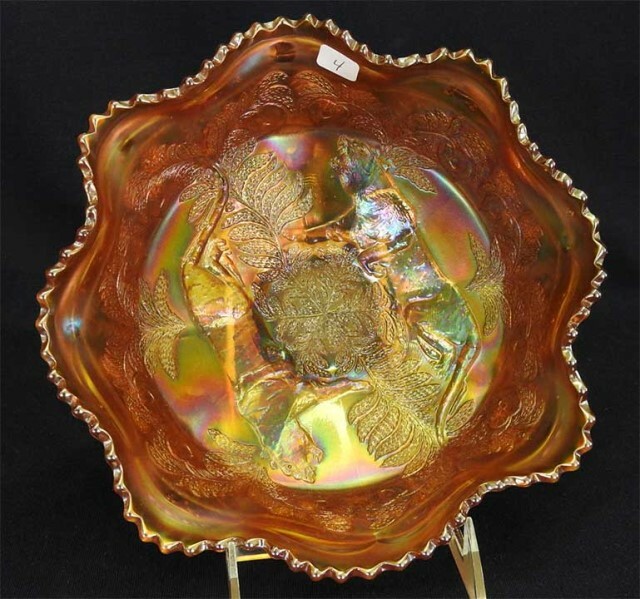 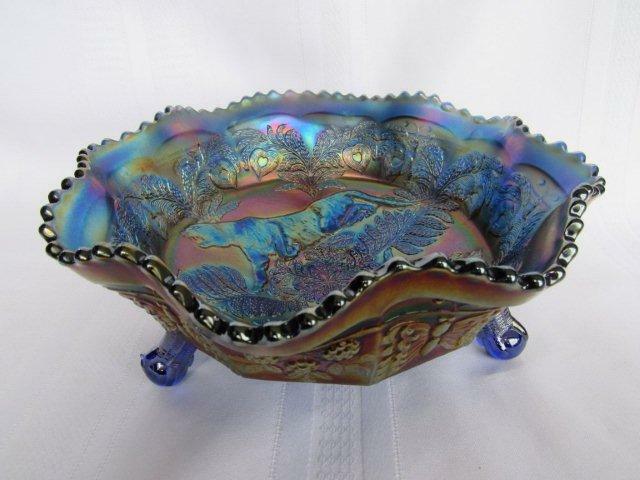 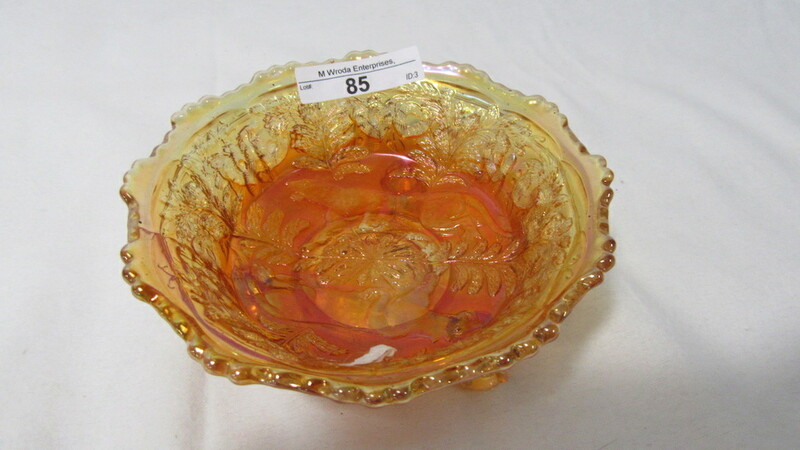 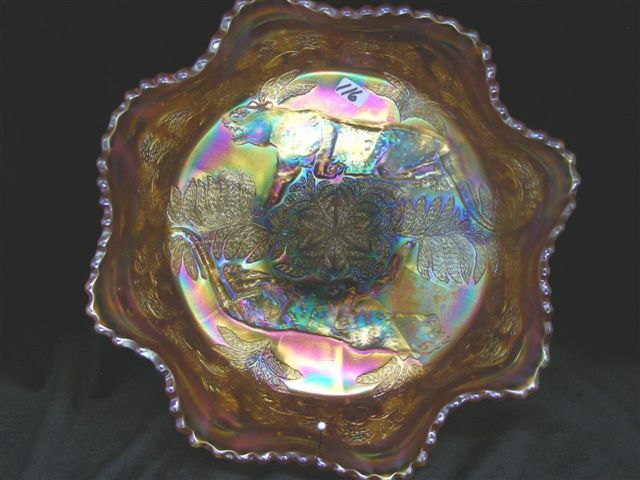 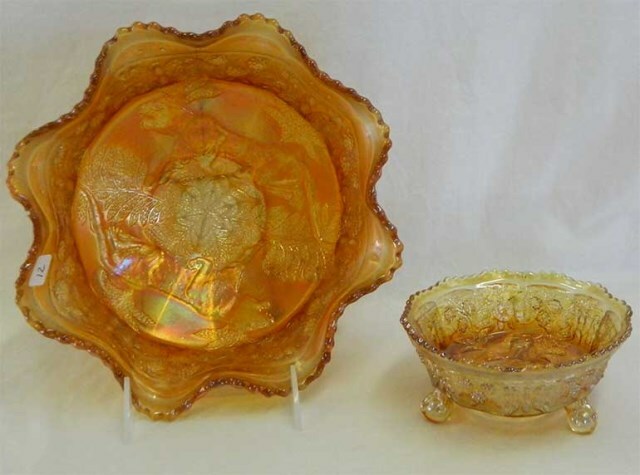 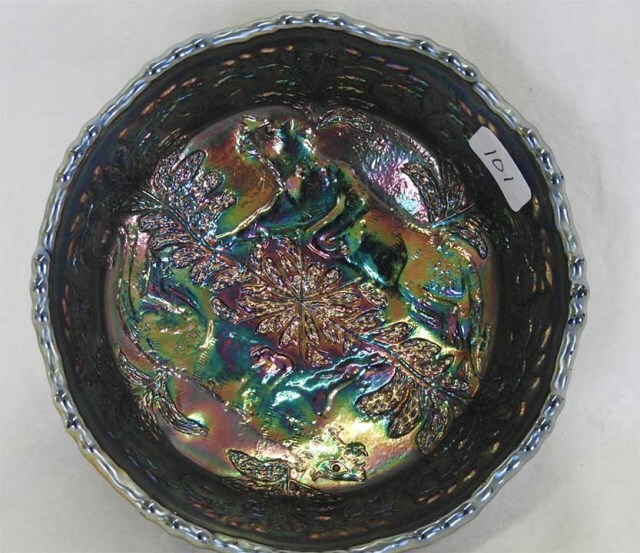 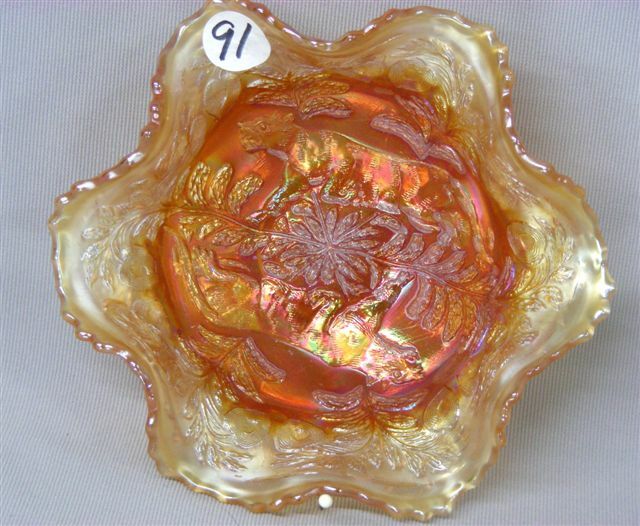 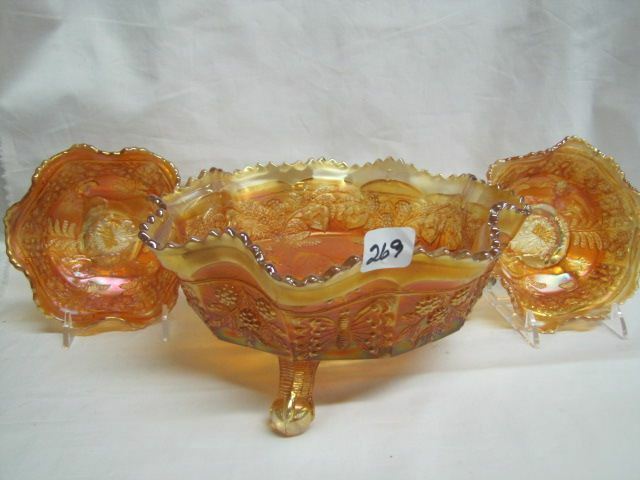 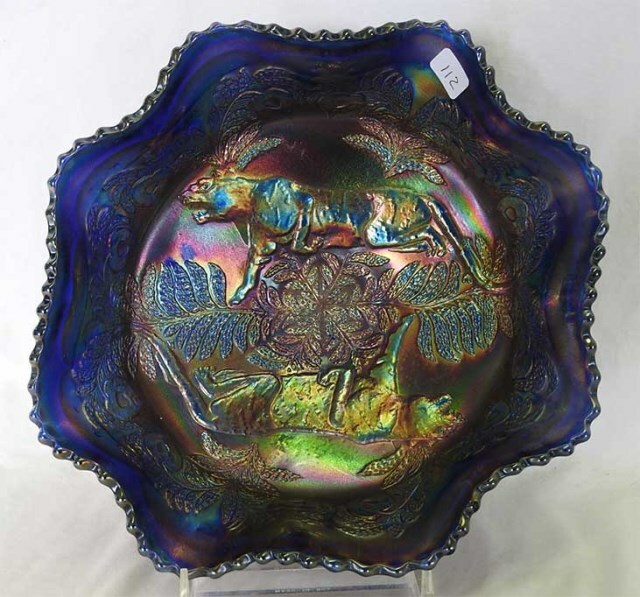 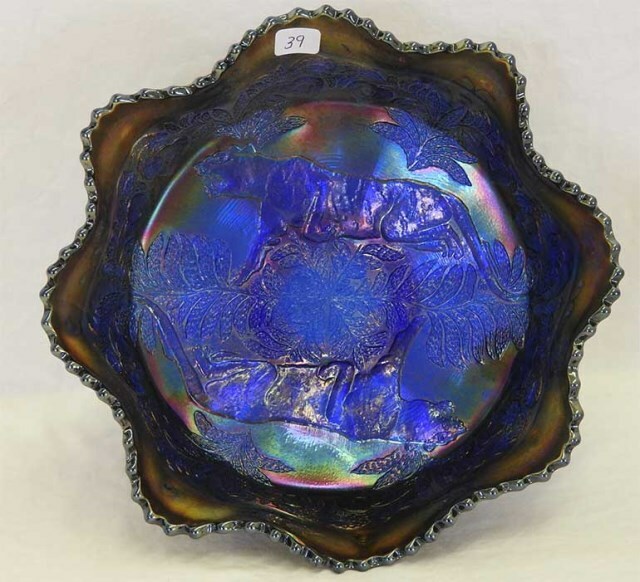 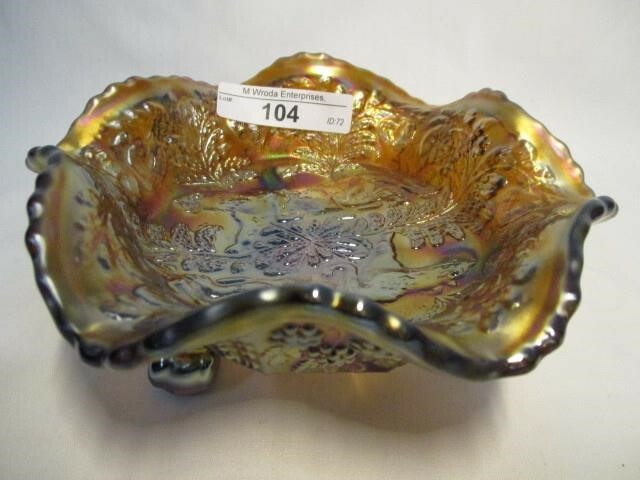 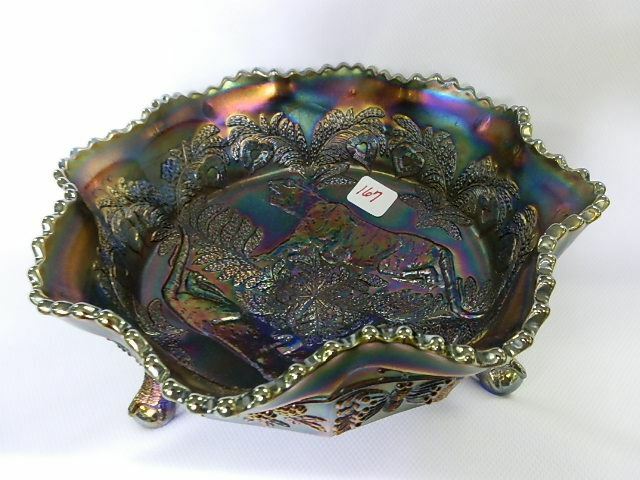 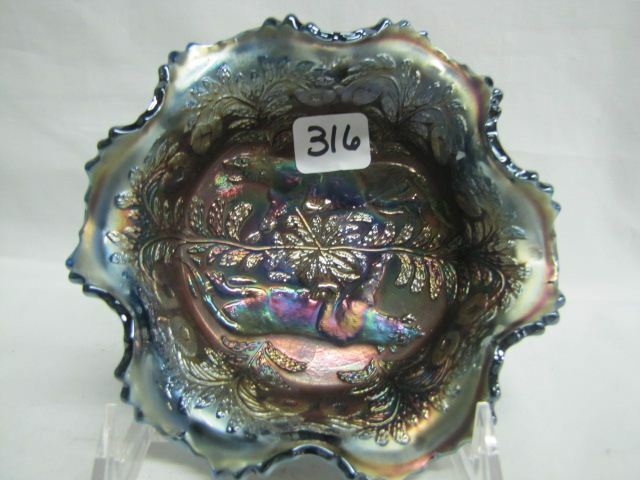 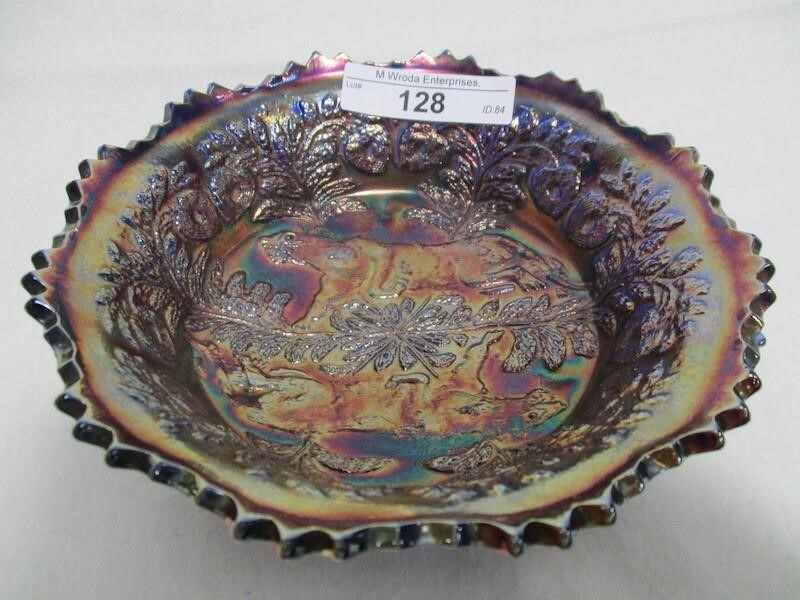 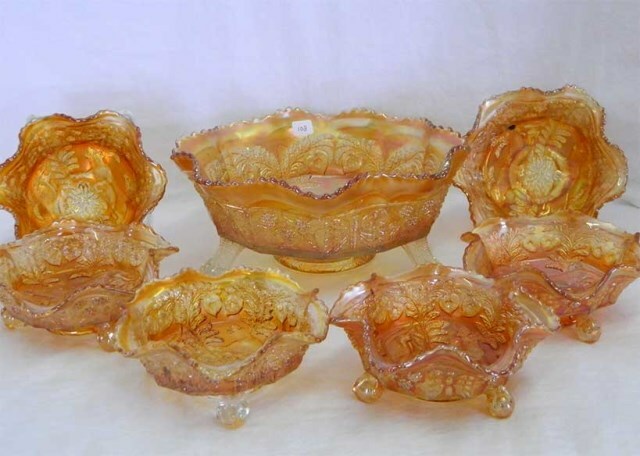 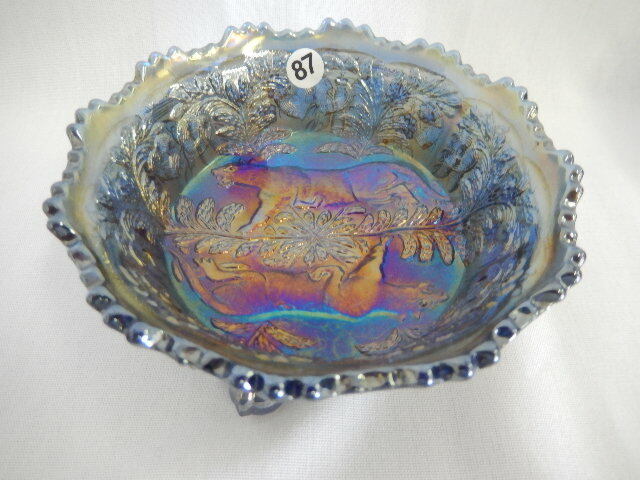 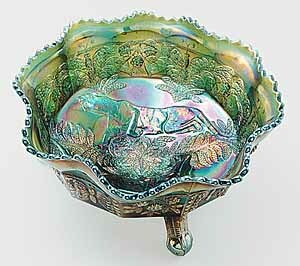 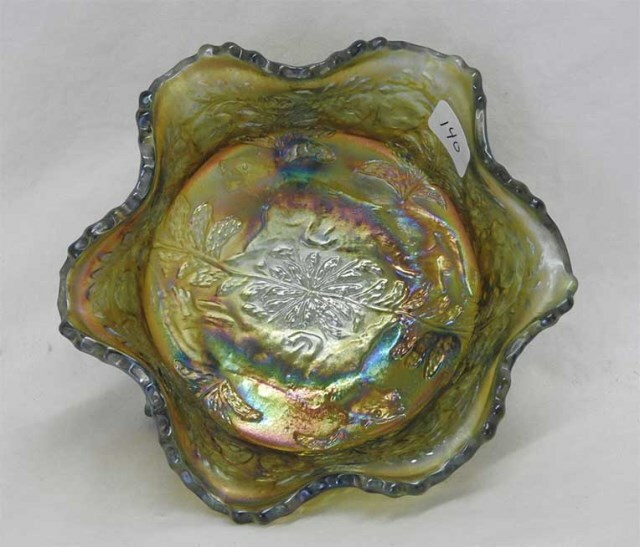 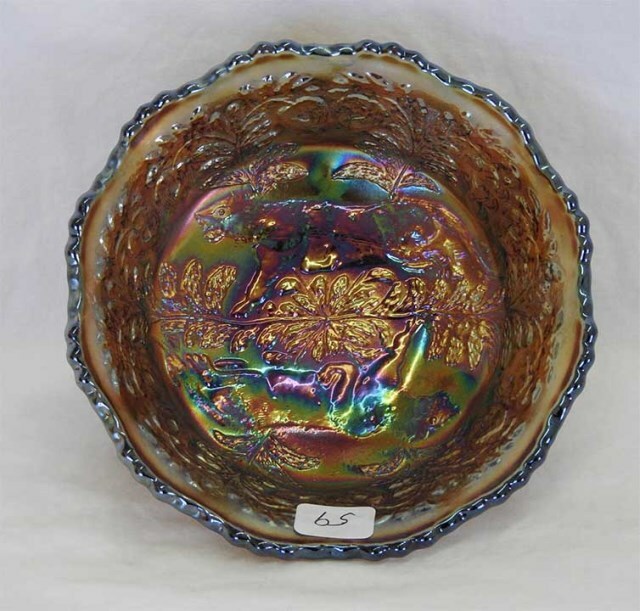 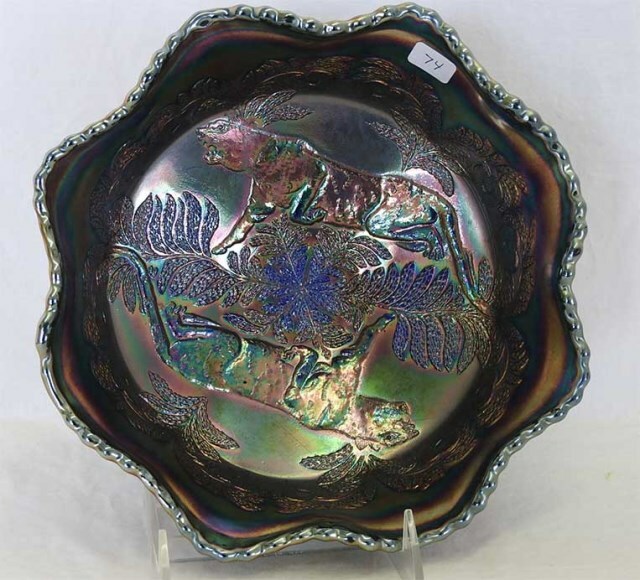 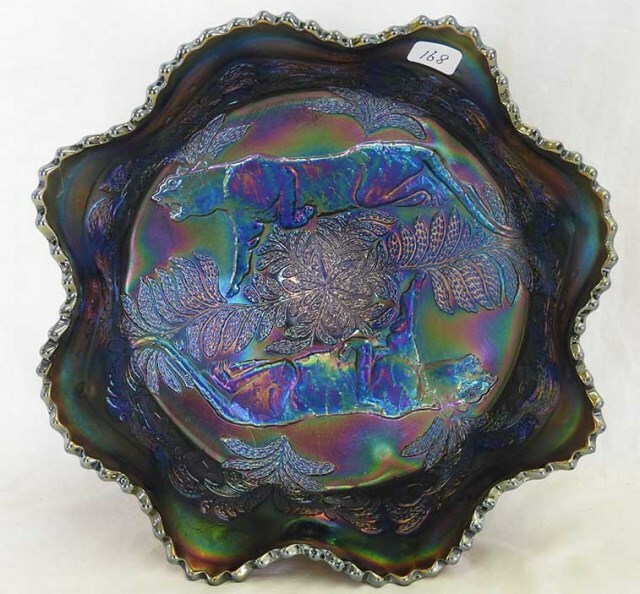 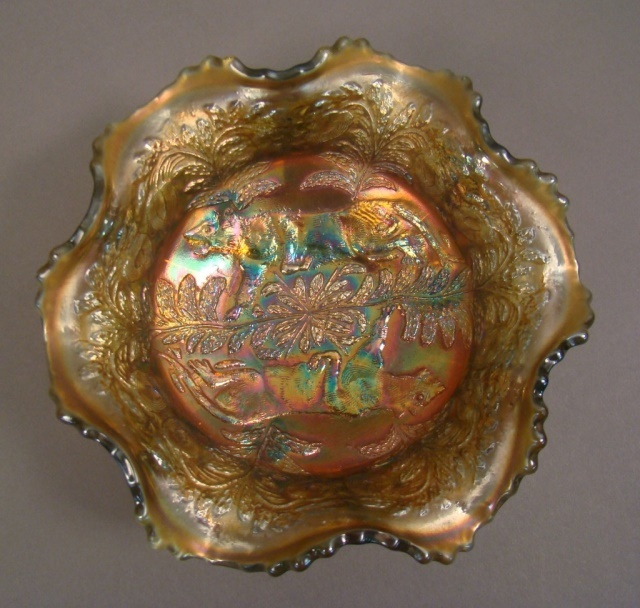 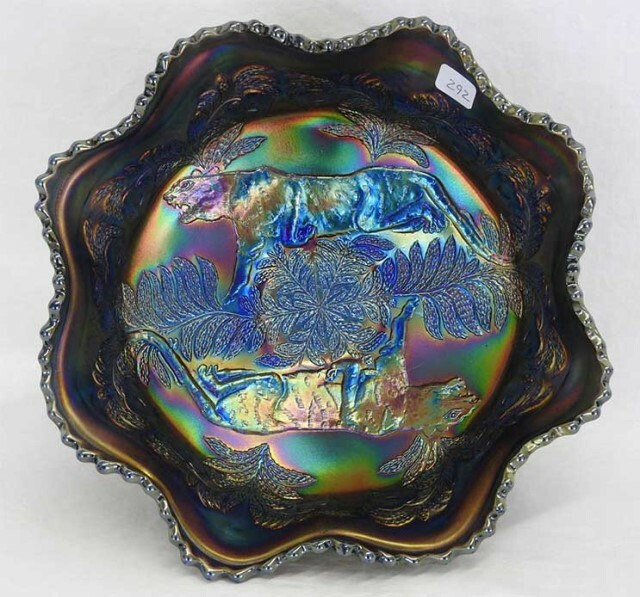 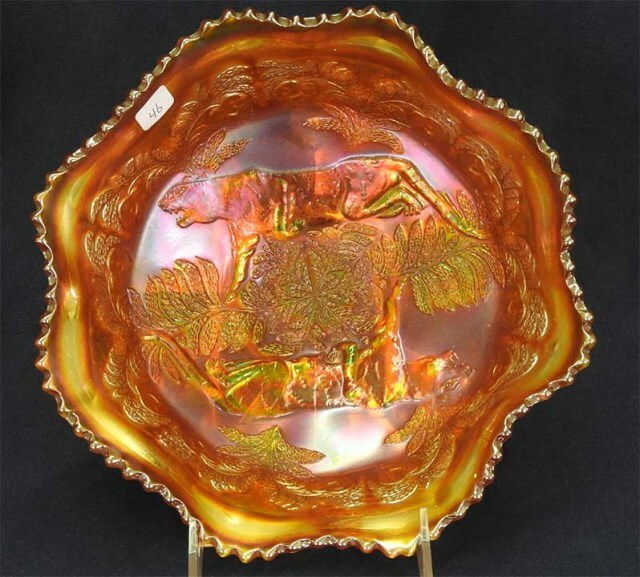 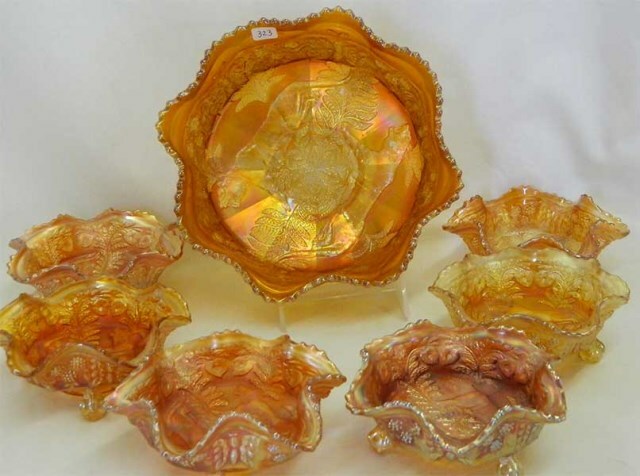 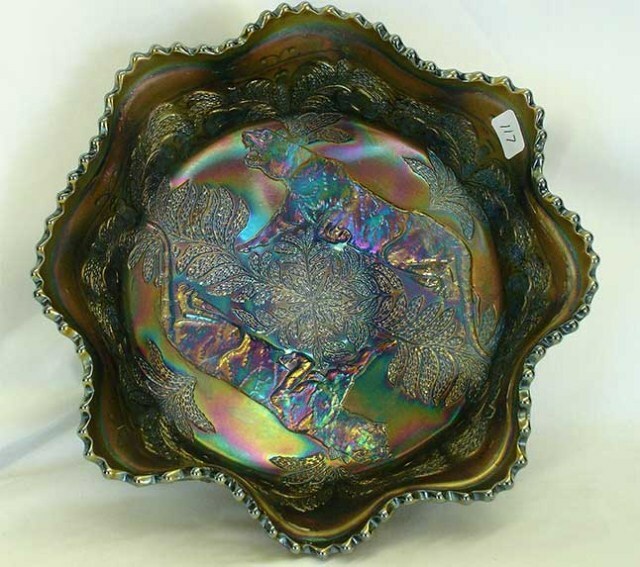 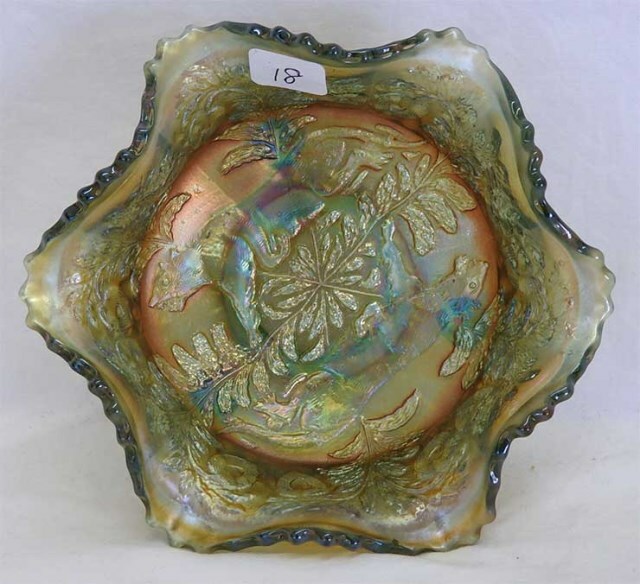 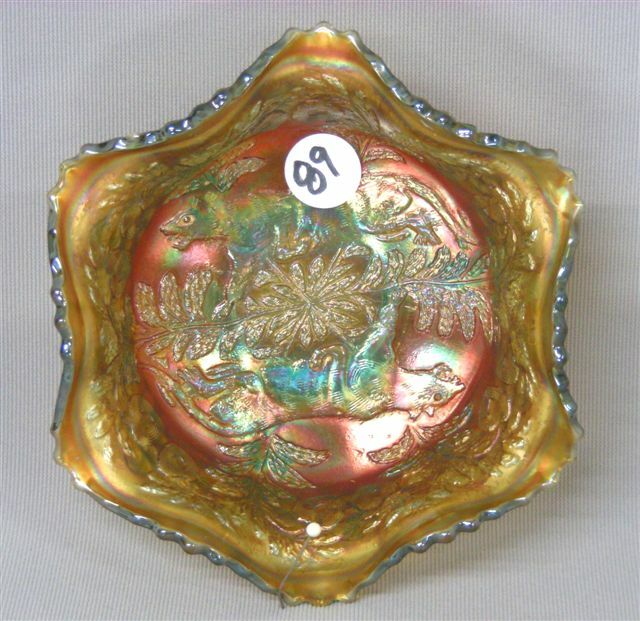 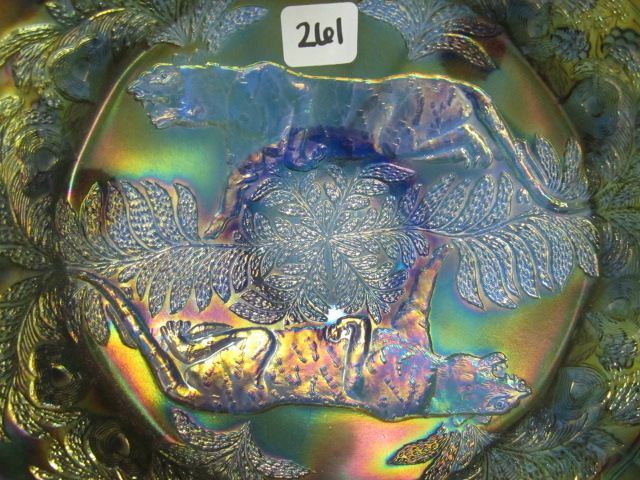 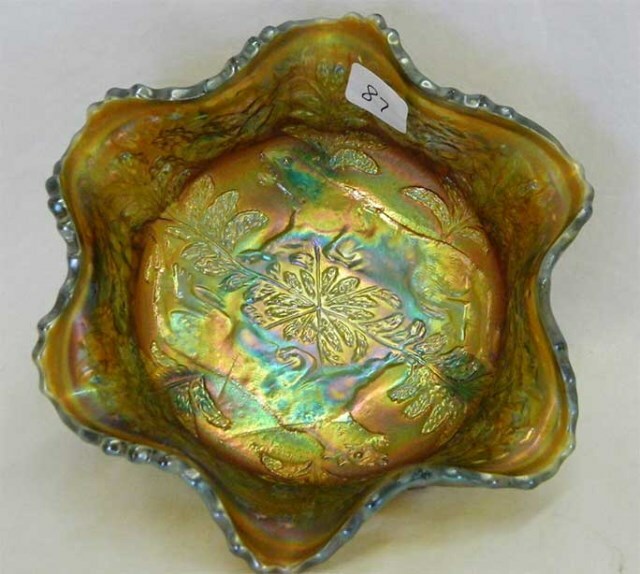 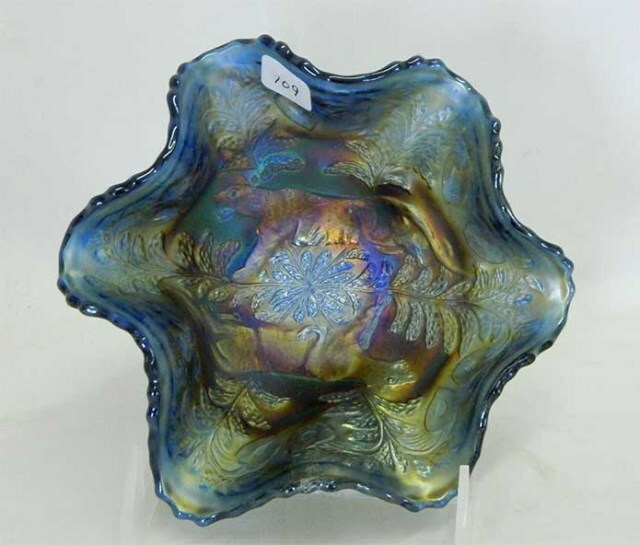 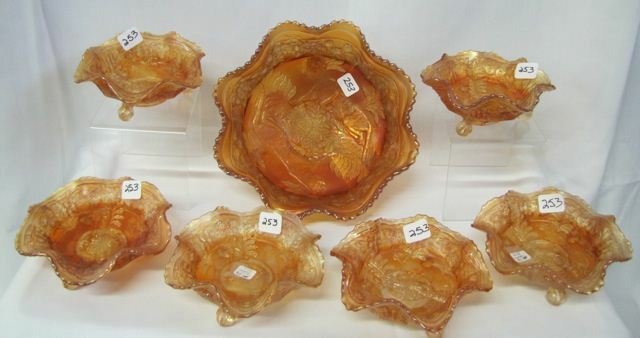 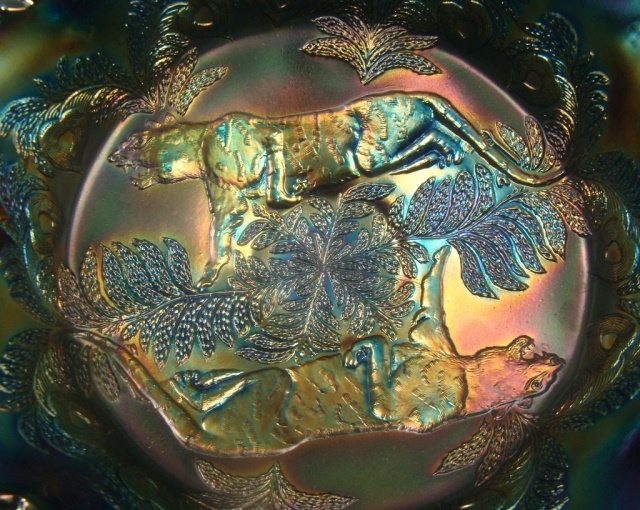 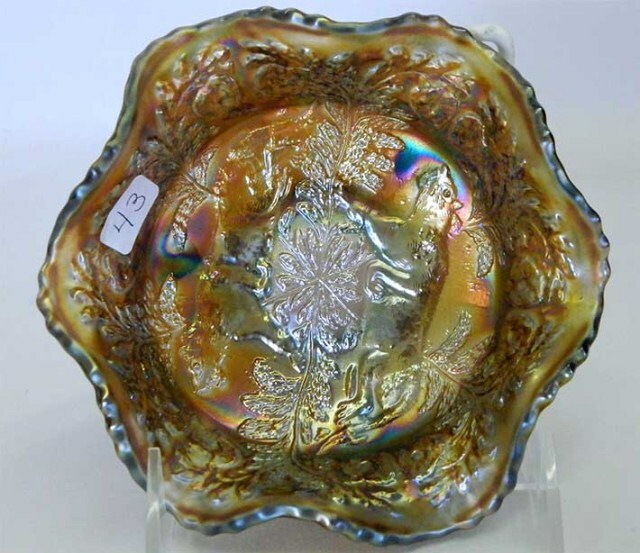 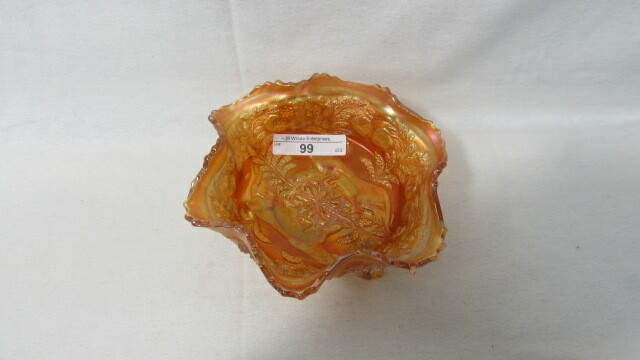 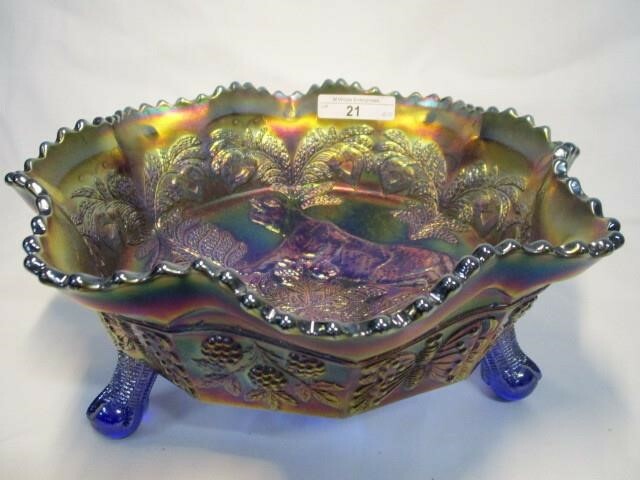 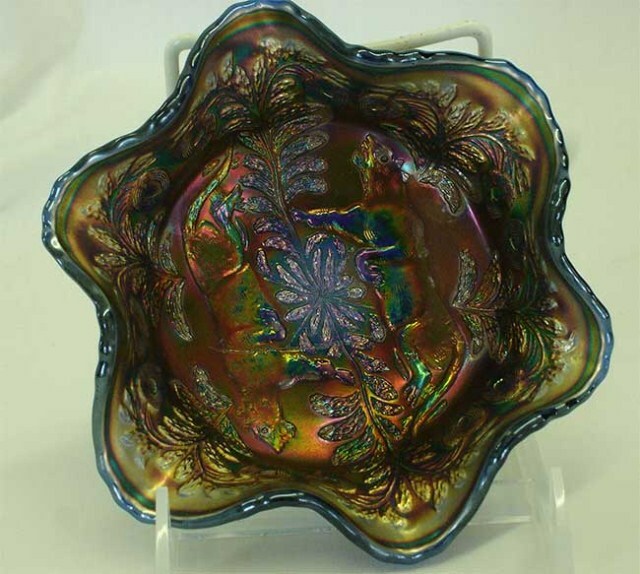 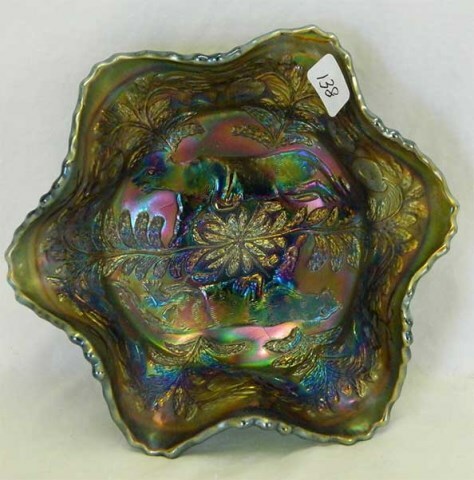 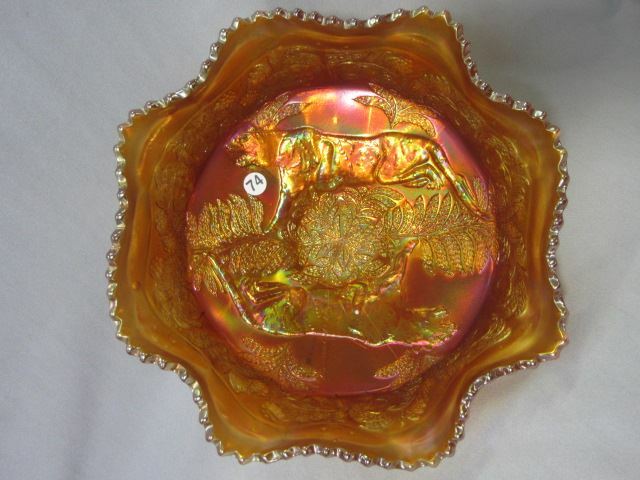 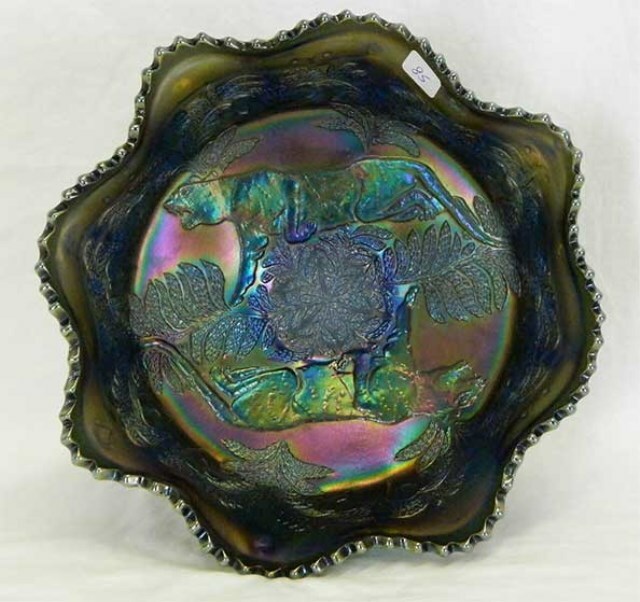 The green bowl sold in 2000 for $800 and the centerpiece bowl in 1999 for $925. 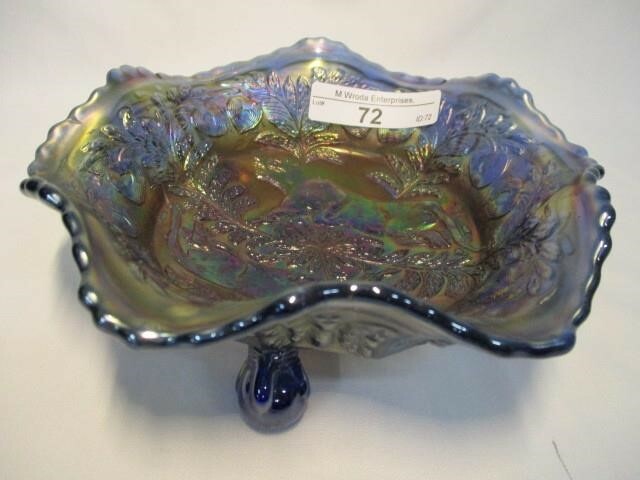 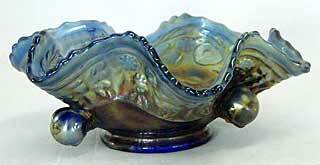 This whimsied blue sauce above right with feet pulled up sold in 2013 for $275. 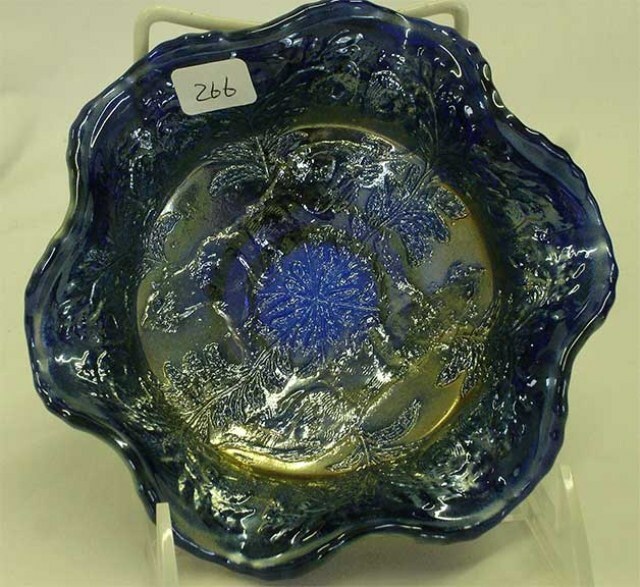 It had minor base damage.